A diverse array of performers and performances will be showcased when Jersey City Theater Center (JCTC) concludes its Privilege series with The BOX: Privilege Edition, an evening of music, spoken-word, poetry, multimedia and performances. Named for the Black Box Theater at Merseles Studios, JCTC solicits submissions for performances on the series theme through notices on social media and other sources. Submissions are open to any and all forms of performance and reviewed by a JCTC panel; the selection process culminates in a curated evening that brings artists, actors, musicians and other performers for a community-oriented event. The BOX: Privilege Edition was curated by Max Di Biaggio, a local musician, singer/songwriter and photographer who has performed at previous “BOXes.” His band Max & Los Americanos has performed at numerous venues throughout Hudson County and he is also producer and creator of The Hang, a YouTube series featuring interviews with and performances by local musicians and other artists. 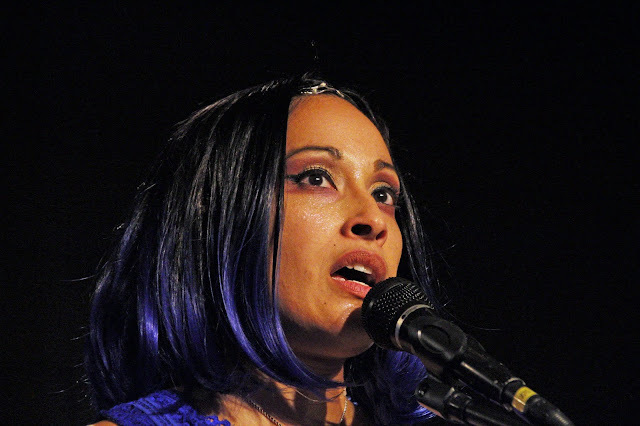 Ariel Guidry, a jazz, blues and soul singer who has performed at White Eagle Hall, Maxwell’s, FM, the Hutton, and Trumpets Jazz Club in Montclair returns to emcee The BOX. The BOX: Privilege Edition performers include: Ibn sharif Shakoor; Rescue Poetix; Terry Haman;Tyber "Ty" Sky Lentuk Murphy; Chrissy Roberts; Fred Scheier; Cassandra Adams; Jason Schlusser; Sid Whelan; Dr. Janelle Christine Simmons; The Sensational Country Blues Wonders; Frank Ippolito; P. Michael Page; Carol Lester; Amy Kelly; and Anthony Wills. The Privilege Art Show, currently in the art gallery at Merseles Stuios, will be accessible during The BOX: Privilege Edition. It will also be the last time to view this exhibition, curated by Lucy Rovetto, Visual Arts Coordinator, JCTC.